Album update, the first gig, etc. I guess it's time for another update, as it's been too long! I have been very busy recording the album over the past few months, and I'm now at the point where the bulk of the recording is done. There is a bit of tweaking which still needs to be done and I will be putting some drums and percussion on there too, but other than that, it's all there. Then, of course, will come the mixing stage, which is a whole other thing; I intend to spend plenty of time getting it right. Getting a mix right is not easy by any means, and I have often failed at that in the past. This time, I am determined to put that behind me. I have been getting some excellent recordings which, I feel, is half the battle. It's hard to say precisely when the album will be finished, but as an independent musician, I am, for better or worse, able to work solely by own watch. As such, it will be ready when it's ready. I have also recently been preparing for my first gig in almost two years, and my first ever solo gig. It's taking place in Bridlington, and as I write this, I have one more sleep with which to prepare myself. This will be a pretty big deal for me, and once the gig is done, I intend to secure more gigs for the coming months. This one will be fairly stripped back - essentially just me and a guitar (and a hell of a lot of delay and reverb) - but I want to introduce further sonic and, perhaps, visual elements to my live show in the future. I want to envelope and captivate my audience. I have always striven to do that, and perhaps, working under my own name, and on my own terms, it will be easier to achieve that now. And yet, there is only so much one person can do on stage. Anyway, more on this soon enough. 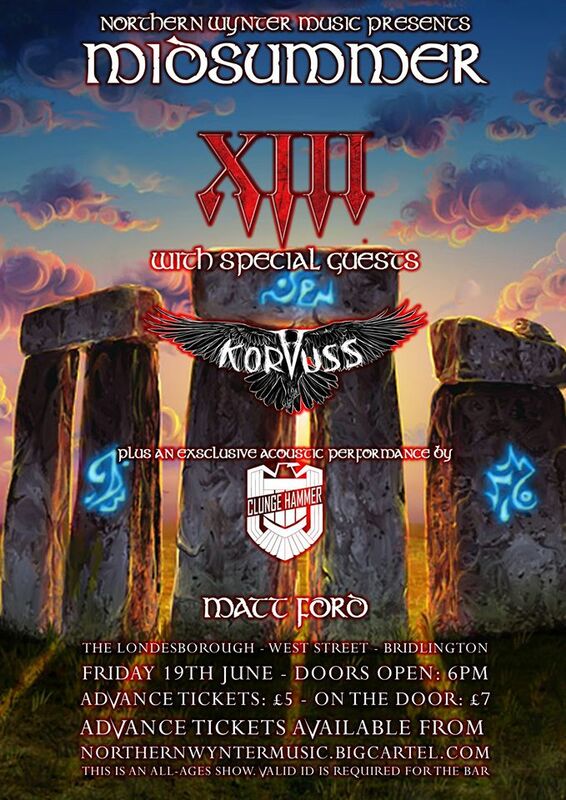 For the time being, I am looking forward to this gig immensely! Then it will be back to working on the album. I will also be recording a song which will not be included on the record...but I won't say any more on that yet. There is a photoshoot on the way too, and various other projects on the horizon. So all in all, the future looks...busy. And that's exactly how I want it. Stay tuned for more updates soon, including album info...when I decide to impart it. Hiya. It's about time I posted an update! I am now a little over half way through the basic recording for my solo record, and I am very pleased with how it's been going thus far. rendition of Shirt Of Lace. Yesterday, I recorded a rendition of a traditional Appalachian folk song for the album. The song is called 'Shirt Of Lace', and is thought to be a cousin to the well-known English ballad 'Scarborough Fair'. This is not too surprising, since traditional Appalachian music is derived largely from the English and Scottish ballad tradition, and lyrical parallels can certainly be drawn between the two songs; it is certainly interesting to compare them. 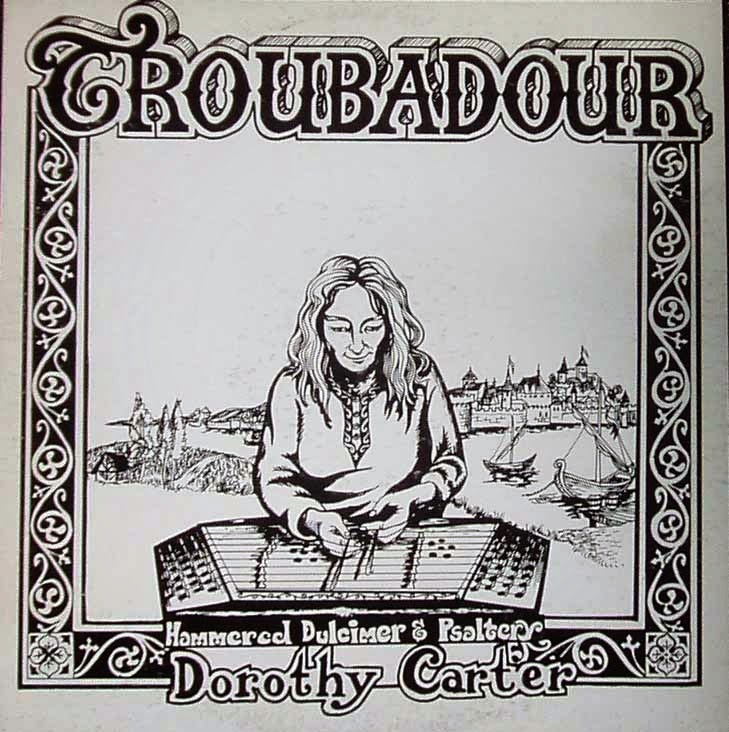 I first encountered the song on Dorothy Carter's album 'Troubadour'. In fact, this is one of only two recorded versions I believe to exist, even after some extensive research, and the only rendition I have heard to this day! As such, I have used it as the basis for my recording. In true folk tradition, it's certainly not an identical version; my intention here was to alter the lyrical content somewhat - along with the main melody and arrangement - and basically put my own 'spin' on the song, while maintaining some of the very strong and distinct atmosphere of Carter's rendition. I currently have the Troubadour LP hanging on my studio wall for inspiration, along with several other inspirational recordings and artwork. How it compares to the way it was being sung in the Appalachian mountains circa 1908, who really knows? It's fair to say that Shirt Of Lace is an obscure song, but I was completely enchanted by it from my very first listen. My hope is that, through recording and performing my own version, I can help to keep the song alive for just a little while longer. Of course, I would not be including it on the album at all if I felt that it didn't somewhat fit the themes of the record as a whole…but more on that another time! As well as this solo record I've been going on about, there are also other projects in the works, with involvement from myself. Details on these will follow when they follow…so stay tuned. 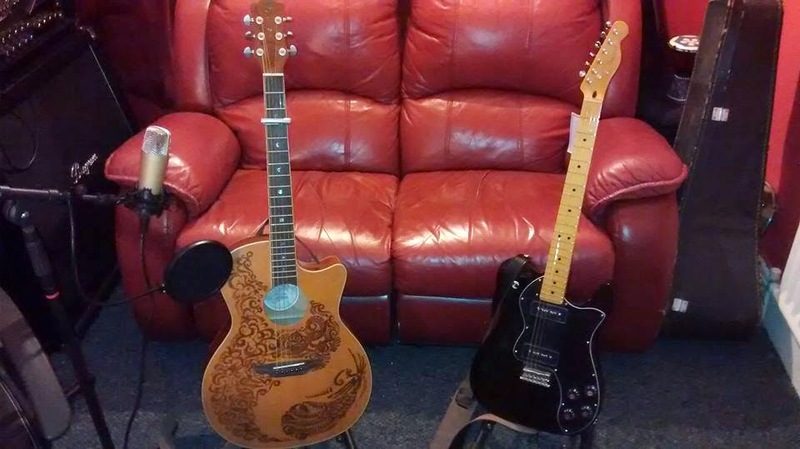 The main guitars to be featured on the album. Hello and welcome to my new blog, where I will be keeping you updated on all current and future projects. At the moment, my main concern is my debut solo album which, after some delays, I finally began recording this week. I will be recording the songs in the order that they will appear on the finished album, and so far, I've managed to record the basic tracks for the first two songs. At this early stage, I am very pleased with the results! Without giving too much away at this stage, this is definitely not a metal album. In fact, in many ways, it could not be much further from it. 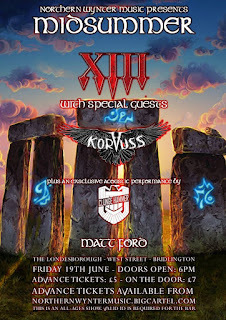 I have been playing metal and heavy rock since I first picked up the guitar, but I have long since enjoyed music in its various forms, and the time is right for me to explore other areas. I am very keen to do this! I cannot desert metal completely; I still listen to plenty of bands from that genre, and I will keep playing it in other projects as and when the inspiration strikes, but for various reasons, I have grown tired of the metal scene and a lot of its music. This is why it was essential for me to launch a solo career at this point; I guess this is me growing, and moving on. Anyway, thanks for reading. Updates will follow on the album's titles, themes and inspirations, as well as progress reports on the recording and production process.